Migrants on the Sea Eye. Four European Union countries agreed to take 64 African migrants rescued by German ship Alan Kurdi and stranded at sea for almost two weeks, the Maltese government said. 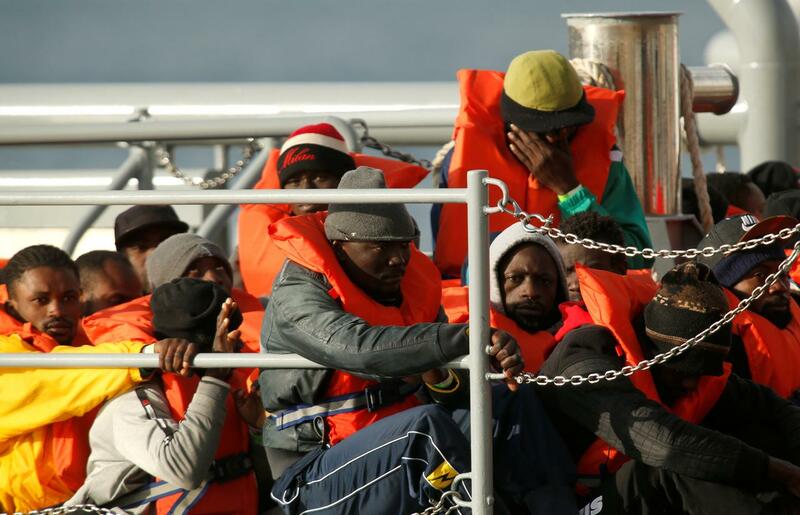 The ship, operated by humanitarian organisation Sea-Eye, was refused entry by Italy and Malta. Two migrants were evacuated to Malta earleir because of poor health. Both countries insisted it was Libya’s responsibility to take in the boat, Sea Eye said earlier. The Maltese government said through co-ordination of the European Commission, the migrants will go to Germany, France, Portugal and Luxembourg. “No migrants will remain in Malta. The ship Alan Kurdi will not be allowed to enter Malta,” government said. “Once again the smallest member of the European Union was put under unnecessary pressure, being asked to resolve a case which was neither its responsibility nor its remit,” government added. In March, Malta received 108 migrants after a small tanker which rescued them was hijacked by some migrants. Maltese soldiers stormed the vessel and escorted it to Malta. Three teenagers and are under arrest and have appeared in court.